The Husky 19-Piece Complete Accessory Set includes a variety of extensions, adapters and universal joints made from alloy steel for strength and long-lasting performance. The finish provides resistance to corrosion. The chamfered lead-in on both ends allows for quick and easy attachment to the drive tools and sockets. The Husky 8-Piece Torx Mini Precision Folding Hex Key Set features alloy steel for strength and durability. The tools have chamfered edges to help guide the tool onto the fastener. The set includes sizes T6, T7, T8, T9, T10, T15, T20, T25. The Husky 14-Piece SAE & MM T-Handle Hex Key Set features alloy steel for strength and durability. These comfortable ergonomic handles resist rotational distortion. The tools have chamfered edges to help guide the tool onto the fastener. 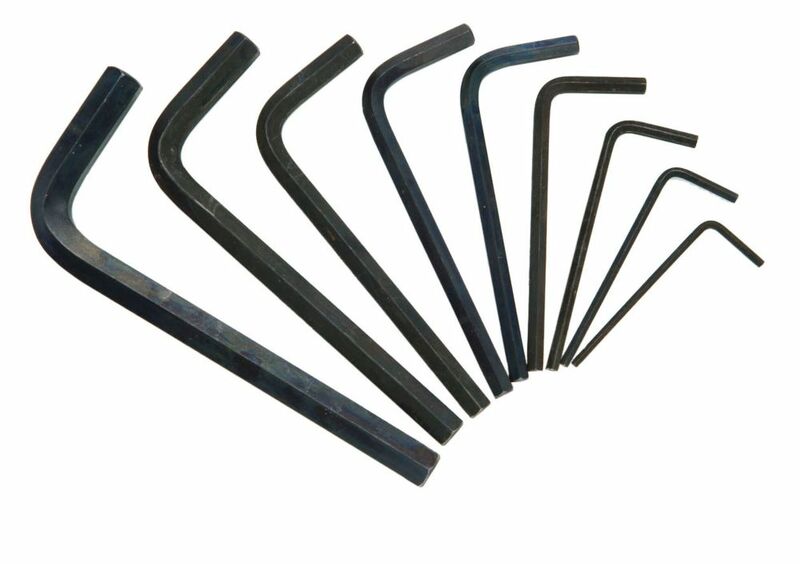 High-Strength Alloy SAE Hex Key Set (9-piece) A good hex key set is a staple in every toolbox. This quality 9-piece set, made with high-strength alloy, is designed to deliver years of service as good as the day you bought them. Included with this general-purpose selection of standard SAE (Imperial) hex keys is a convenient storage pouch for keeping them orderly.